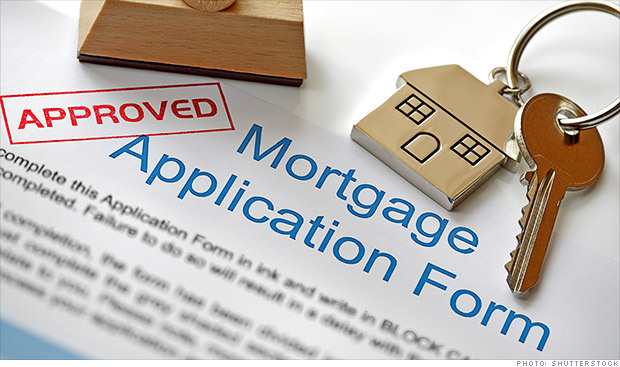 There is a wide range of mortgage loan programs that are available to people with bad credit. These types of mortgages are known as “non-prime loans” (many still call them “subprime mortgages”, but technically “non-prime loan” is the correct terminology in 2019). In order to determine the best mortgage lender and loan program for you it will largely depend on your FICO score (credit score) and other aspects of your credit report. It is helpful to know what your credit score is before applying for a mortgage. This way you will know what lenders are most suitable for your credit profile. Federal law mandates that every American is entitled to one free credit report from each bureau once a year. You can pull your credit for free through Annual Credit Report. It is not merely your credit score that mortgage lenders look at. They will also look at the overall details of the report, such as any potential derogatory marks, the total amount of debt you have, and your current trade-lines (trade-lines are open credit accounts, such as an auto loan or credit card). They will look at the payment history of such accounts, but some late payments should not cause your loan application to be rejected. If you have a low credit score due to a recent major credit event such as a bankruptcy, foreclosure, or short sale, you will need a lender that does not have a mandatory waiting period that you must wait out before you are eligible to get a mortgage. We work with many non-prime lenders that allow you to get a mortgage even just 1 day after such events (some of which are featured below on this page under the section titled “non-prime loans for bad credit”). For people with more general credit issues that have resulted in a low FICO credit score (bad credit is considered anything below a 620 credit score), FHA loans and USDA loans are usually the best option. Some FHA lenders will approve a borrower with credit scores all the way down to 500! If you already know what your credit score is, you may consider viewing a short list of the best lenders for your credit rating: 500-579 credit score lenders, 580 credit score lenders, and 620 credit score lenders. Being that the FHA is the most common mortgage loan used by people with bad credit, we feature information on FHA loans first on this page. However, there are many unique non-prime mortgage programs that are good options for people with bad credit. We encourage you to compare all of your potential loan options in order to find the best mortgage. 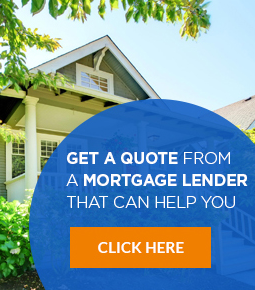 If you would like some free assistance, we can help you narrow down your search, in order to efficiently find the best lender for your home mortgage. 2 years employment, including your last 2 tax returns. Credit score varies by lender, but most will want at least a 580. If your credit score is below a 580, that does not necessarily disqualify you. As stated above, some FHA mortgage lenders allow credit scores as low as 500. Chances are that you will need a larger down payment than the standard 3.5% that is required of FHA loans. If your credit score is between 500-579, you may be able to get a FHA loan, but be prepared to need to put at least 10% down. No bankruptcy, foreclosure, or short sale in the last 2 years There is an exception to this rule, which in certain cases which are known as “extenuating circumstances” only 1 year must pass . What qualifies for this exception is a job loss, medical issues, or other circumstances out of your control. If you would like to find the best FHA lender for your specific situation, we can help you get a free FHA mortgage quote. You may also see if you qualify for other types of home loans at the same time. We work with FHA lenders in every state. Below are a few of the top national FHA lenders that help borrowers with bad credit. Oftentimes, the FHA lender who will offer you the best loan terms is not a large national mortgage lender, like those shown below, but rather a local mortgage company. Depending on where you are located, we will help you determine who will offer you the best FHA loan terms. Would you like to see if you qualify for a bad credit FHA loan? We will help match you with the best FHA approved mortgage lenders in your location. Another great government-backed mortgage is USDA rural development loans. These are an excellent option for people with lower credit scores, as well as people who want a no down payment home loan. The USDA (United States Department of Agriculture) offers a great program that is intended for lower income households. Many assume that these programs are for farms, but they are actually intended for single family homes in rural areas (which includes the outskirts of most major metropolitan areas). The credit score requirements for a USDA loan vary by lender, but most require a 580 or higher. Your income must not exceed the household income limits. The home you purchase must be within an eligible area. You must occupy the home that you purchase as your primary residence. You can learn more about USDA loans on the official USDA website. If you would like to see if you qualify for a USDA loan, request a free mortgage quote here. Aside from FHA loans and USDA loans, there are also many non-prime mortgage lenders that offer loans to people with poor credit. This includes a variety of loan products that allow borrowers to have credit scores as low as 500. If your credit falls below a 580, you may qualify for a loan with the following lenders. These lenders all allow you to be only 1 day out of a major credit event, such as a bankruptcy, foreclosure, or short sale. There are several other non-prime mortgage lenders that offer financing for borrowers with bad credit. You can view more information on top non-prime lenders, or if you would like some assistance in finding the best lender, use our free lender matching service. If you have bad credit and need to refinance your mortgage, you may be able to do so. While a lot of refinance programs require at least fair or good credit, there are a few loan products available for the credit challenged. FHA Streamline Refinance – If you currently have a FHA loan, you may be able to refinance your mortgage without any credit check! Also, this program does not require a new appraisal, or any income documentation to be submitted! The FHA streamline refinance is exclusively for homeowners who already have an FHA loan. USDA Streamline Refinance – The USDA streamline refinance is similar to it’s FHA counterpart. If you currently have a USDA loan, you may be able to refinance without a credit check, income documentation, or a new appraisal. HARP Mortgage Refinance – If you have bad credit, and also owe more on your home than it is worth, a HARP refinance may be for you. HARP stands for “Home Affordable Refinance Program”. This is a government program that helps borrowers refinance into a lower rate without having to pay for new mortgage insurance. Is down payment assistance available to people with bad credit? Many people looking to buy a home may lack the necessary funds for a down payment. In addition to the above lenders with lenient credit requirements, there is also help for people that need down payment assistance. This is especially the case for people with low income. Would you like to learn more about these programs? We can help you learn about what options for down payment assistance may exist for you. Can a first time home buyer with bad credit get a mortgage? Yes, you can have bad credit and get a mortgage as a first time home buyer. While FHA loans are not exclusively for first time buyers, they are generally considered a first time home buyer loan. We are unaware of any non-prime lenders who exclude first time home buyers from their programs. Will having a joint applicant / co-borrower help me get a better mortgage? Having a joint applicant that has good credit, and meets other requirements, could certainly help improve your chances of getting a home loan. It may also help you get approved for a better interest rate. We tend to try and refrain from providing any advice on how to improve your credit. However, some widely known ways of improving credit is to pay down debt (it is ideal to be below 30% on credit cards). If you lack much credit depth, you may want to look at opening some new trade-lines (it is ideal to have at least 3 trade-lines in good standing). Do not ever take on any credit that you can not comfortably afford to pay. Also, keep in mind that some lenders may want to see credit accounts seasoned for a year or more to show the payment history, and they also don’t want to see you take on too much new debt at once. With any credit account, be sure to make all payments before the due date. Having a good payment history, and also not having any maxed out credit cards is a good way to start improving your credit. What is the lowest down payment? If your credit score is above a 580, you may qualify for a FHA loan with only a 3.5% down payment. If your credit score is between 500-579, you may qualify for a FHA loan with a 10% down payment. Most non-prime loans require at least a 10% down payment, and some may even want 20% or more). If you have strong compensating factors, this may help you qualify for a lower down payment. What is the highest loan amount that I can borrow? The maximum loan amount you will be able to borrow will depend on many factors. If you want an FHA loan, it will depend on the FHA loan limits for your county. Your income will also play a very large part in the maximum amount you can borrow. FHA loans have a maximum DTI ratio (debt-to-income ratio) of 43%. Most non-prime loans have a max DTI ratio of 50%. Therefore, if you have a high income, you should be able to afford a higher payment, allowing you to buy a more expensive home. If your income is low, you will be limited in how much you can borrow. The interest rate you are offered will also influence how high of a loan amount you can borrow, since it is your monthly mortgage payment that is factored into the DTI ratio (along with any other monthly payments you have on credit reported debts. The ratio is total monthly debt payments compared to total bring home income).